One thing I love about the blogsphere is that if you ask for recommendations, you get a ton! 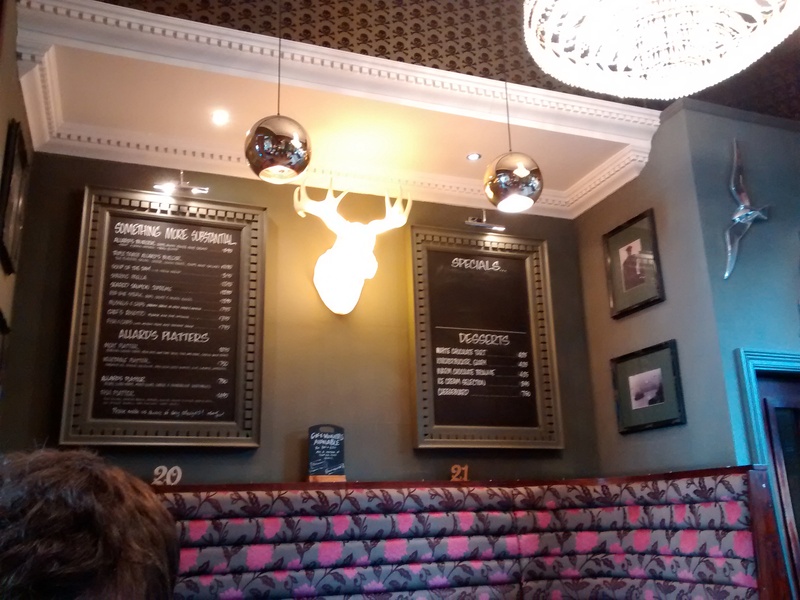 When I asked for suggestions for dining in Tynemouth, two fellow food bloggers Taste of the North and Sugar Rushed recommended the same place – Allard’s Lounge. Well, if both of them recommended it, it must be good, right? So on a lazy Bank Holiday Monday we went to Allard’s for a lazy brunch date. On first impressions, I loved the place. The long narrow interior with pirate skull wallpaper and luxurious fabric booths created an elegant space. We looked at the brunch menu. Mr J chose eggs benedict for £4.95, and I chose a bacon sarnie for £2.99 (Yes, so classy!) 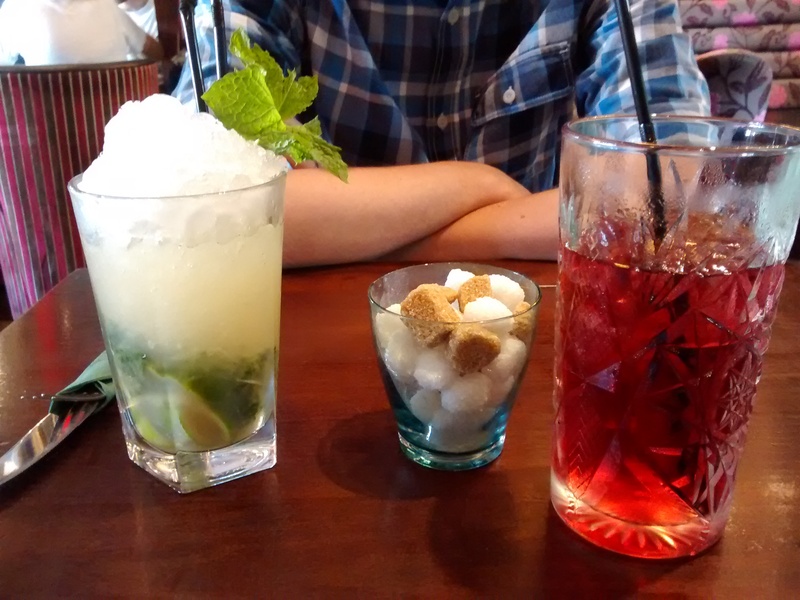 He ordered an innocent mojito (£4.50), and since I was still in breakfast-mode, I got a cranberry juice (£2). As other diners received their plates filled with brunch goodness, I started to get excited. They looked good. The portion sizes were big. 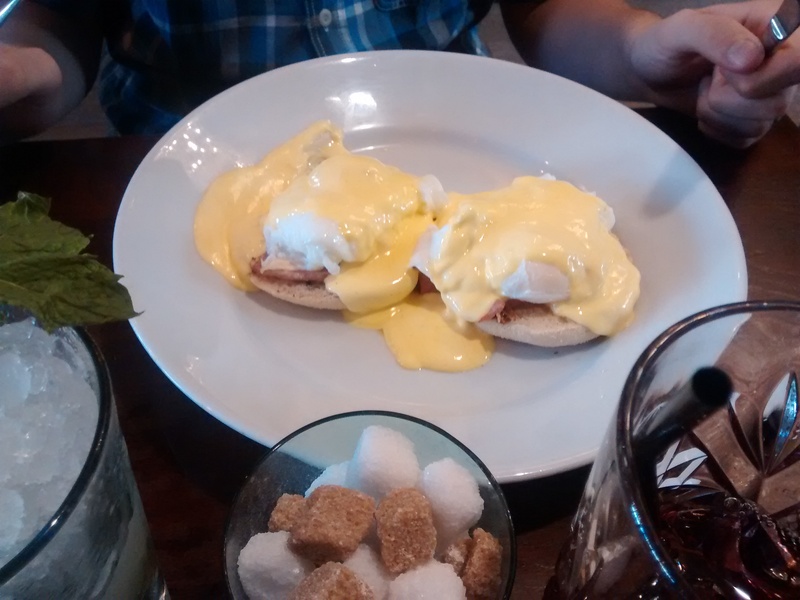 When ours arrived, I could barely snap a picture of Mr J’s eggs benedict before it was devoured. My bacon sarnie was beautiful, packed full of bacon and not just the fatty straggly bits. 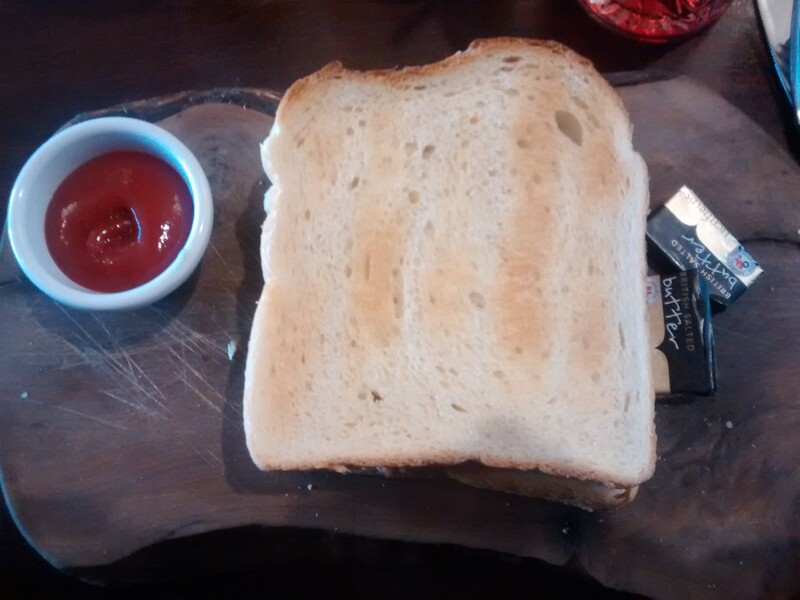 The bread was lightly toasted and thick. All, in all, it was delicious. I loved Allard’s so much that I’ll definitely be back in the near future to try their other menus, or just to go for drinks. It’s got a great atmosphere, from hanging out with friends to having a romantic dinner date, it really does tick all the boxes! Afterwards, as the weather was pretty good. We had a walk along the coast and round the priory. I love living so close to a city but also the coast. I grew up right next to the beach in South Shields, and I really like the feeling of just being at the edge of the country with the waves and sea all around you. Sounds amazing! 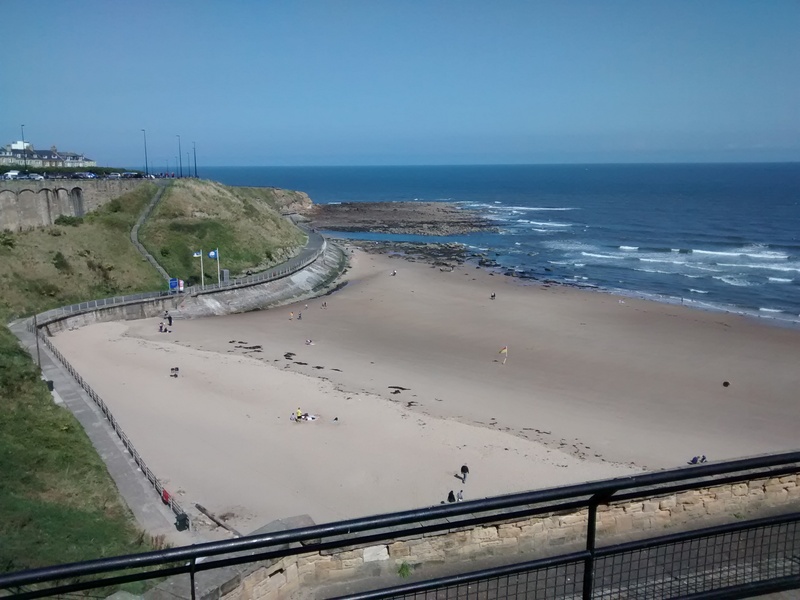 We’re forever saying we should head to Tynemouth after work one night for dinner but we never seem to make it!